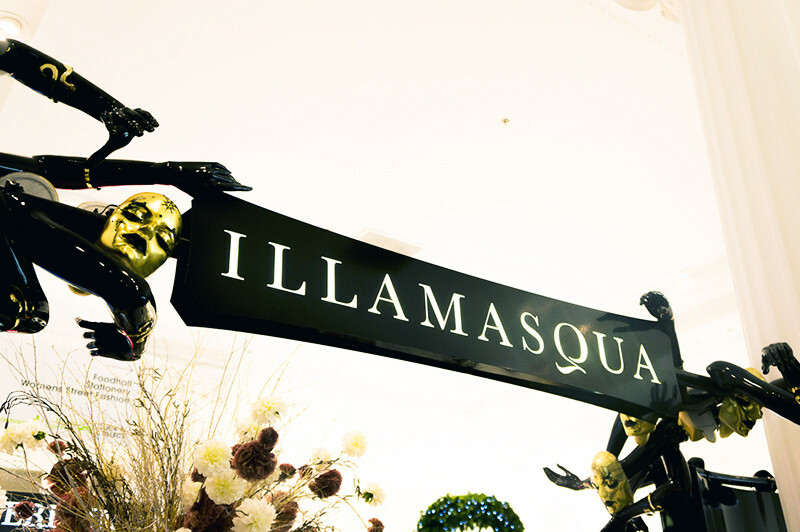 On Wednesday last week I popped along to Selfridges to have an Illamasqua makeover. I've been a fan from a far for a very long time, but apart from Androgen Pigment. Other than that I've not really explored the brand in much detail. The products I have tried have always been the more out there ones. 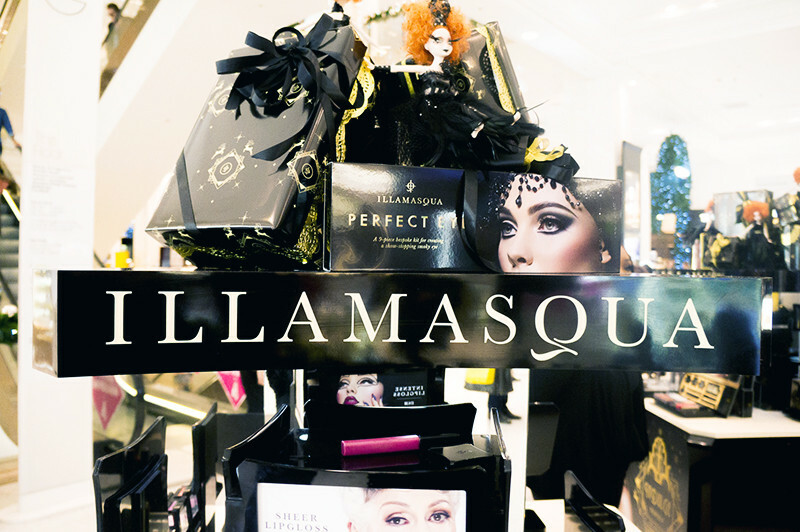 Illamasqua is a creative and innovative brand which is unlike any of the other mainstream cosmetics brands. They are constantly pushing the boundaries and creating products that fill gaps in the market- Green Lipgloss, check! Lilac Cream pigment? Check! Blue Lipstick? Check. Because of the "mad" products Illamasqua is often seen a daunting makeup brand, Especially if you're like me and you don't want to look to OTT! The Selfridges counter invited me along to have a little makeover on counter. Now I'd love to have gone all out and gone creative, but I knew the likelihood of me being left unhappy with it would be very high. I explained I wanted something not too far out of my comfort zone but something a little different at the same time. In the end, me and the MUA decided on a pretty smokey eye. Cara style with a twist. 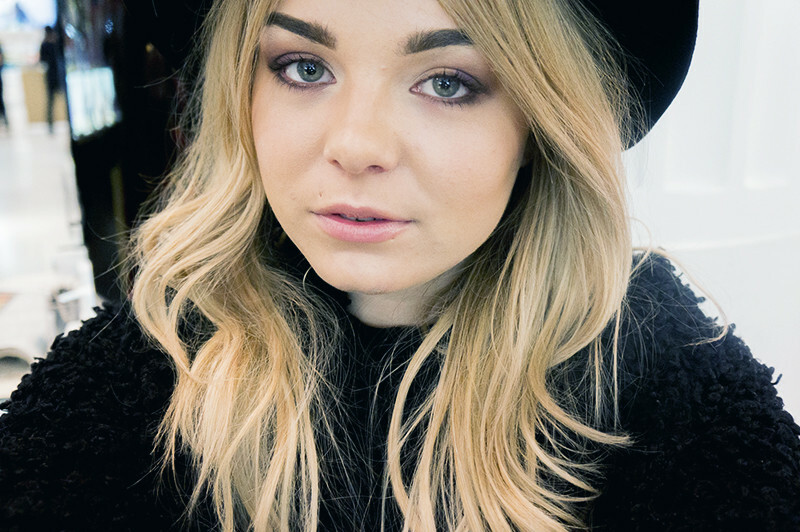 We added a bit of purple from the recently launched Illamasqua Fatale Palette just to bring out the blue in my eyes. I've never tried purple eyeshadow, but I'm very pleasantly surprised how pretty this looked on! I've also rediscovered my love for Illamasqua Skinbase (it was one of the first products I reviewed on my blog!). It gives wonderful coverage and feels so nice on the skin. 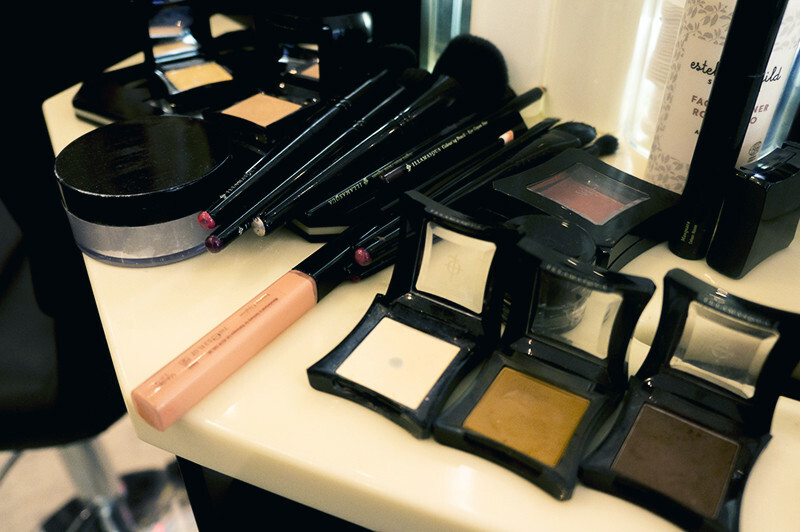 Other products I loved during the makeover would be the Eye pencil in Honour and the Sculpting Duo. So pretty! I'd highly recommend popping along to the Selfridges counter if you wanted a good overview of the products from the brand by knowledgable staff. They arent going to shove a green lipgloss on you (unless of course you want that!). They aren't pushy, and Im not talking about just this experience but in general. Ive been up to the counter countless times to browse and never been accosted into buying when I didn't want to. 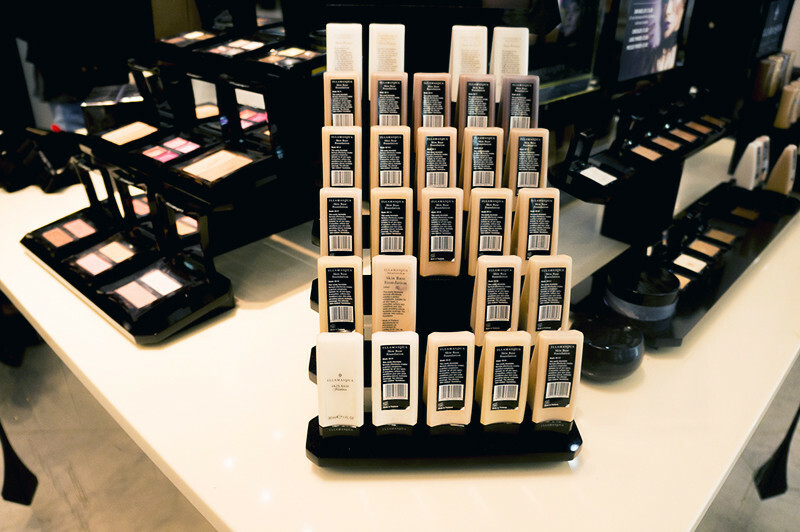 The counter is well laid out, easy to shop and the whole experience was really helpful and engaging I've had some terrible counter experiences over the years and I wasn't running straight for the makeup wipes after it'd been applied. 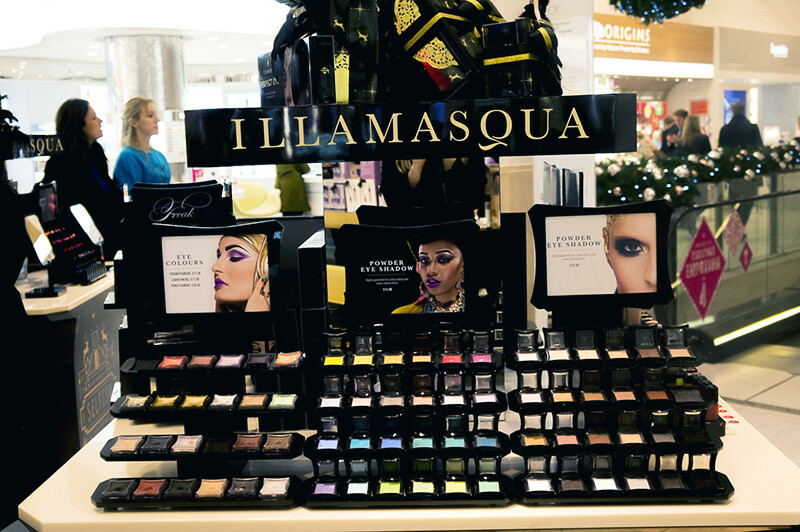 The bottom line although yes Illamasqua is an unusual original brand, their products aren't just crazy and wacky they can be wearable! 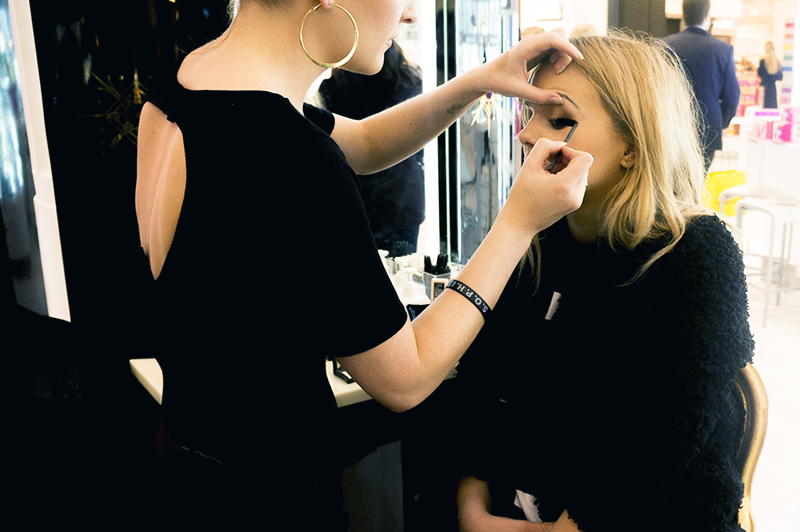 You can get £30 makeover advanced bookings which are redeemable against products and you get a complete makeover. 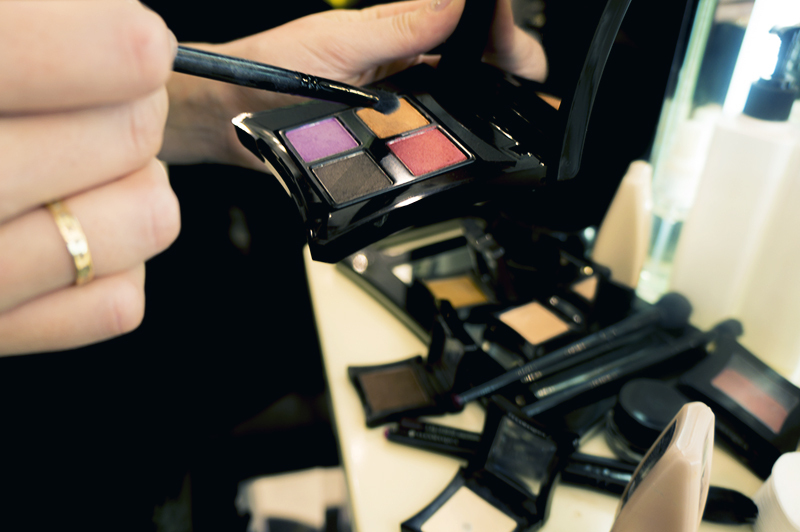 They also do free 10-15 minute mini makeovers in which you can learn about products. 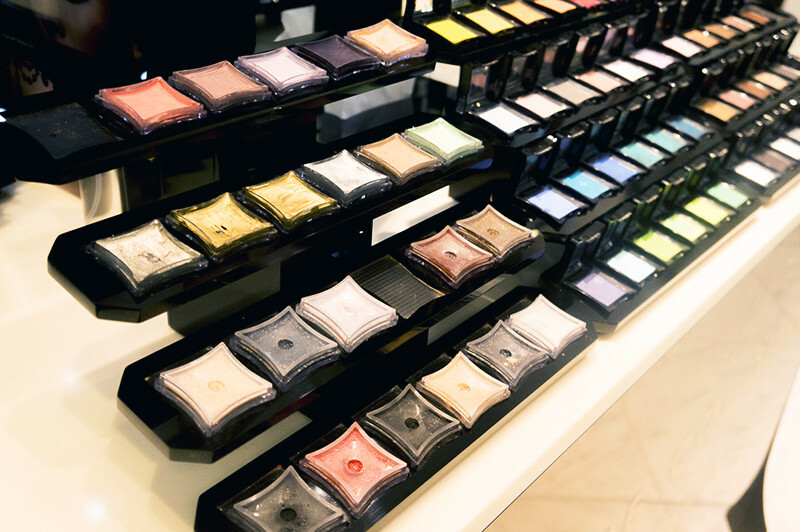 What do you think of Illamasqua?